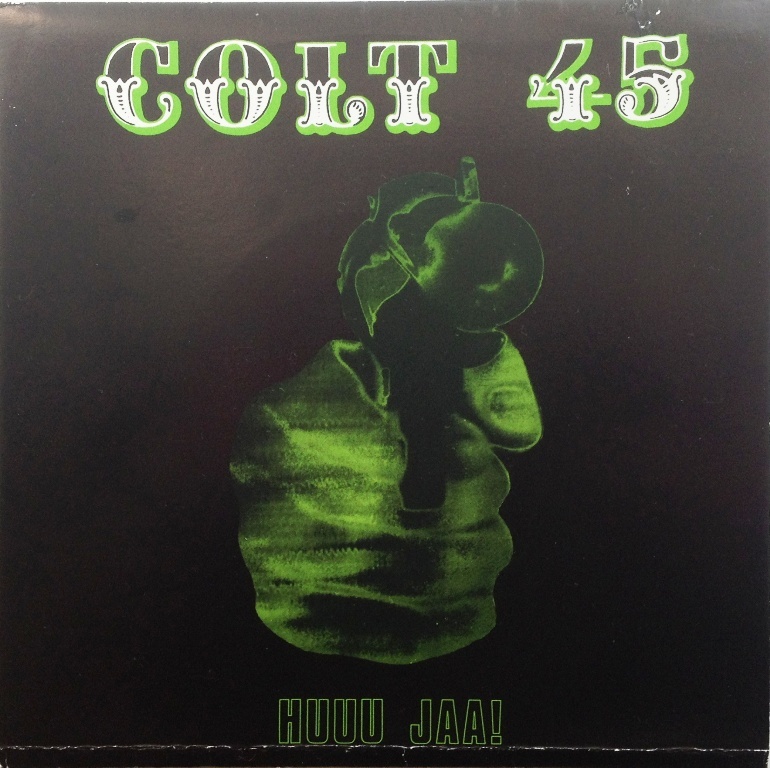 Colt 45 ‎– Huu Jaa! Colt 45 made 3 EP’s on their own label. 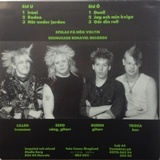 The first one came in 1986, a time when Punk was dead in Bollnäs, Sweden. The most successful Bollnäs punk band Traste och Superstararna had quit and few followed. 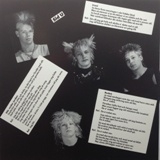 The band made some cross over of rock-punk much inspired by bands like Disneyland after Dark later D.A.D. 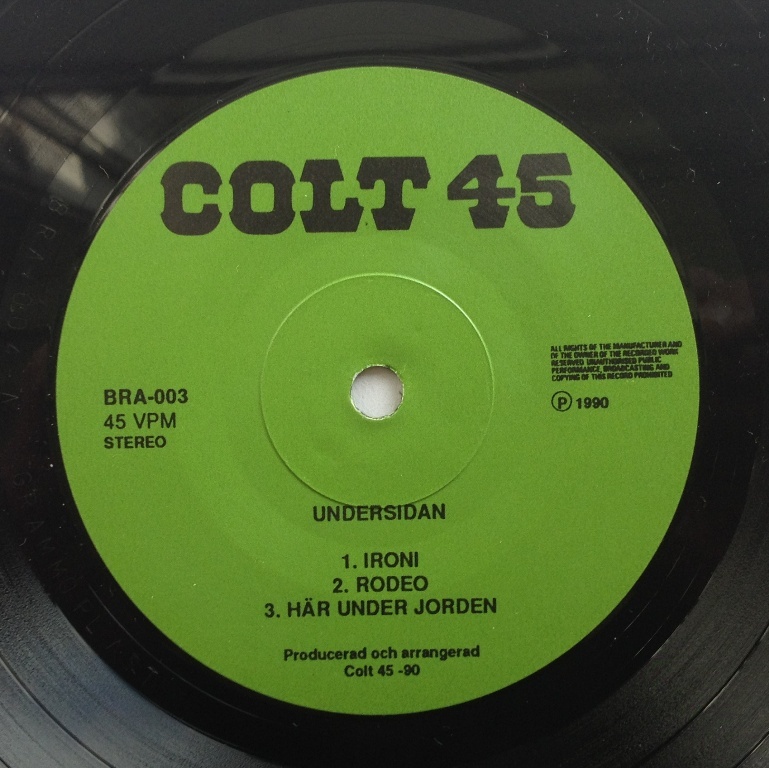 I know that Colt 45 made success in the regional gigs and I would prefer them over Funny Farm another Bollnäs band active at the same time. Here you will get punk-rock with cows roaming and guns shooting. I have ripped the whole EP as I know that the band would think it’s okay (all 320 kbps). All images is made with my crappy camera. The insert is one piece of paper, printed on both sides. You forgot to mention the members pre-bands, which are in my opinion much better. 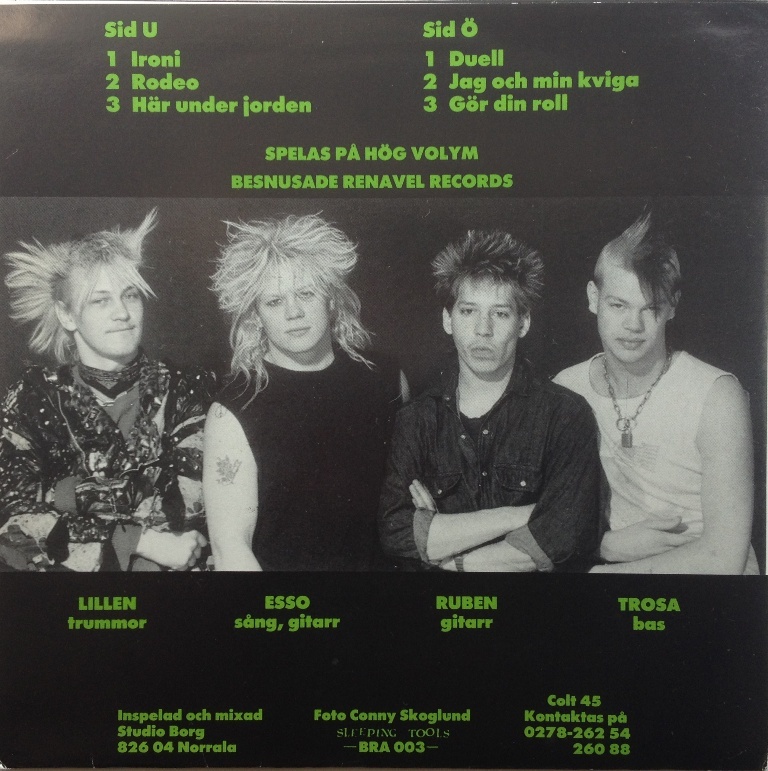 Most members of Colt 45 were playing in Patrull Grisskit (PGS), really good band. And a couple of members from Funny Farm were in Subway Army, also a good band. But Colt 45 were brilliant live, too bad the records never made the songs justice.